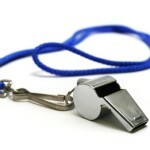 Big Whistleblower Cases Still Exist! In late 2014, the Justice Department announced that it settled several whistleblower cases against Bank of America for $16.65 billion. Pundits and commentators said that case was the end of the big bank whistleblower cases. Apparently New York Attorney General Eric Schneiderman never received that memo. New York, along with the feds and several other states, just settled with Morgan Stanley for $3,200,000,000.00. The mortgage claims against Morgan Stanley follow a familiar pattern. By misstating the quality of the mortgages, investors paid far too much. When the market collapsed, many investors lost everything. The damage didn’t stop there, however. The same bad mortgages that hurt investors also hurt homeowners too. Many folks were given mortgages that they had no chance of paying. Mortgages with adjustable rates and lump sum payments caused many folks to lose their homes. Most of the big mortgage cases were filed by whistleblowers under the federal False Claims Act. That law allows private individuals to file suit in the name of the government. Because most residential mortgages are backed by the government, those that write mortgages that don’t meet federal standards can be sued under the Act. In 2014, the federal government paid out over $435 million in whistleblower awards. That resulted in billions of dollars saved by taxpayers. Many of those cases were mortgage related. The cases from the 2008 financial crisis are probably at a close but that doesn’t mean banks are suddenly behaving. With this latest Morgan Stanley case, the total fines and penalties since 2008 against banks for their misconduct are $135 billion. Whatever lessons may have been learned were probably already forgotten. Once again we see net branch violations, underwriting and appraisal defects, and violations of the loan officer compensation rules. All these violations hurt homeowners and taxpayers. Hopefully, the memory of Bank of America and the over $150 million in awards were paid will get more people to come forward. We are proud to have been a lead counsel in that case and suspect there will soon be other cases in the billion dollar club. If you know of fraud involving federally insured banks or loans (residential mortgages backed by the VA, FHA, Fannie Mae or Freddie Mac), you may qualify for an award. The False Claims Act not only pays large awards; it also has strong whistleblower anti-retaliation protections. It took the government almost a decade to finally bring Morgan Stanley to task. Let’s not let bad bankers skate that long ever again. Whistleblowers are the new American heroes. Don’t let greedy bankers get away with fraud.